Government of Assam (GOA) invited application for the post of Junior Assistants Grade III for office of Deputy Commissioner Tinsukia District. GOA is going to conduct written examination on 08th February 2015 for the posts of Junior Assistant Grade III at various centres recommended by GOA. A huge number of candidates had applied for the posts. 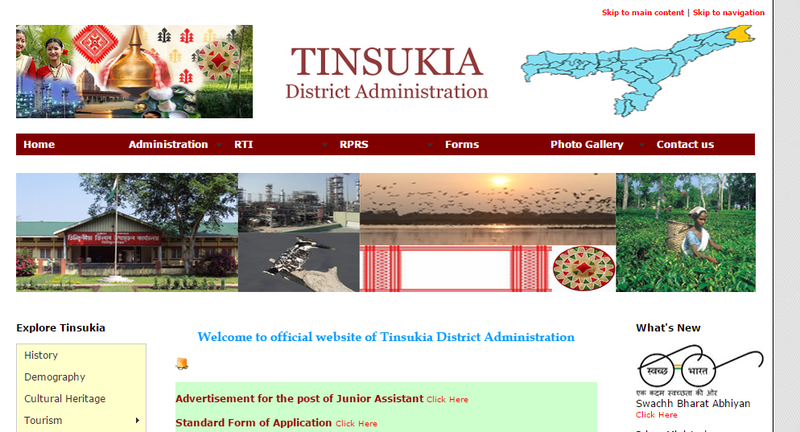 The Latest News is that GOA is going to release admit cards for TINSUKIA JUNIOR ASSISTANT Exam 2015. Those candidates who have applied for the exam and waiting for the online admit cards / Call letters for interview can download their admit card on the direct link provided in the end of the post. · Download admit card in PDF. · Save/Print the admit cards for exam requirements. TINSUKIA JUNIOR ASSISTANT Exam will be conducted by Pen Mode and total marks for exam will be 100. The timing for the exam will be 2 hours or 120 minutes. The questions consist of General English, Essay writing, Precis Writing, Drafting & General Knowledge. Successful candidates will be called for interview and proficiency of Typing and Computer. The call letter for interview & proficiency test will be released on the official website. After the completion of interview stage, a final merit list or Final List of selected candidates will be released on the official website.